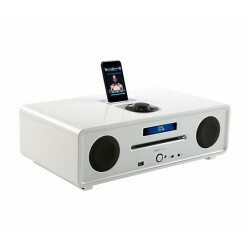 For customers who want to use the new R1 as a bedside radio, we’ve provided two alarms which can be independently set. These allow for once, daily, weekday and weekend settings. The alarm volume on both alarms (radio or buzzer) can be set to the level which suits you best, depending on whether you’re a light or heavy sleeper. 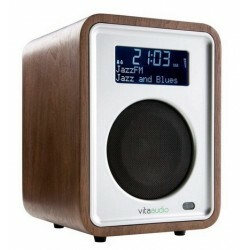 Also included is an adjustable sleep timer and snooze function. Time, programme and other information are clearly shown on a large format display, which along with other options can be set to automatically adjust its brightness to suit the background light level when R1 is playing. This is ideal for when R1 is used in dimly lit rooms. On the rear panel an output for headphones is provided along with an audio output and a switchable auxiliary input. 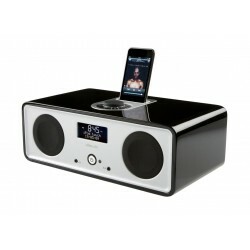 This allows an iPod/iPhone or suchlike to be connected and enjoyed with R1’s sonorous sound. 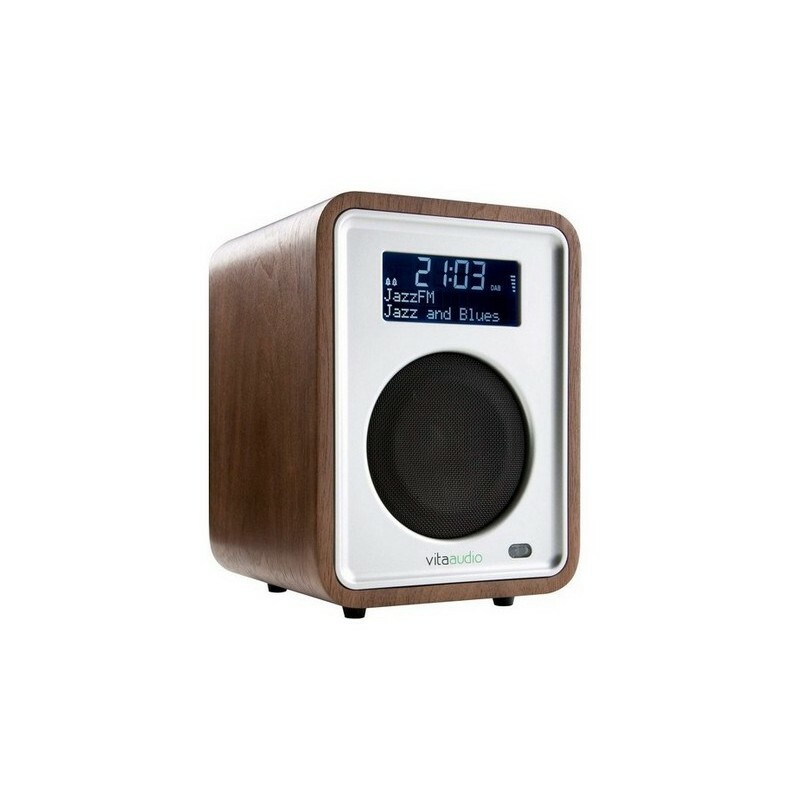 Rather than plastics the R1 enclosure is handcrafted from wood based materials which we know give the best sound quality from our years designing loudspeaker systems. 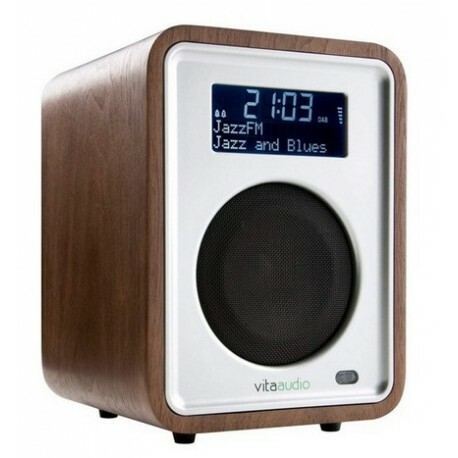 Clad in a choice of walnut veneer or high gloss lacquers, this material also feels natural and wonderful to touch. In our opinion radios covered in buttons look ugly and overly complex, so one of our first tasks when designing the original R1 was to develop a control system which was easy to use and looked good. The result is our RotoDial control system and this distinctive controller is now very much a signature part of our products which make them unique and instantly recognizable.